Our free and fun family event organised by South Cambridgeshire District Council in partnership with Cambridge Sport Lakes Trust is back for 2019! 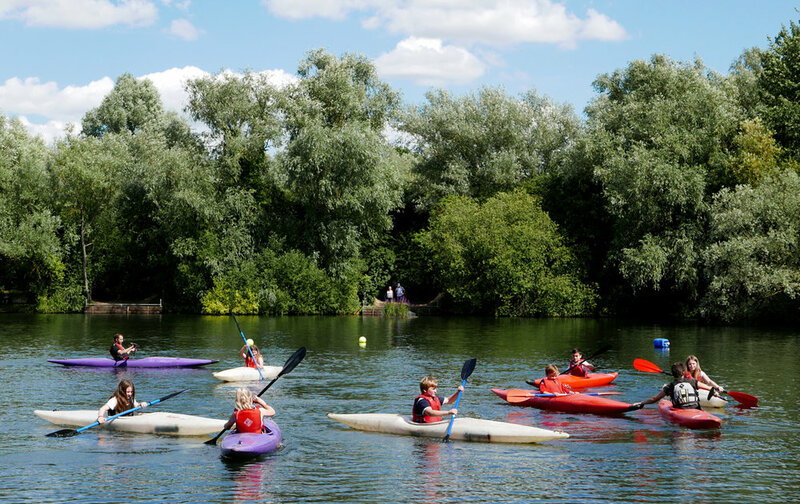 Come and enjoy getting outdoors and active with plenty of sports and activities to try including paddleboarding, canoeing, kayaking, cycling, football, caving, climbing, archery and much more! More information and watersports booking coming soon. Nordic Walking is the fastest growing form of fitness in the UK and is a technique of walking with specially designed Nordic Walking Poles, which delivers a full body workout in a manner that is sociable, outdoor and fun and can be adapted to be enjoyed by a wide range of people regardless of fitness level, age or gender. The many benefits include improving the posture and gait; weight loss; toning the upper arms and waist; strengthening the joint supporting muscles; reducing the impact through joints. 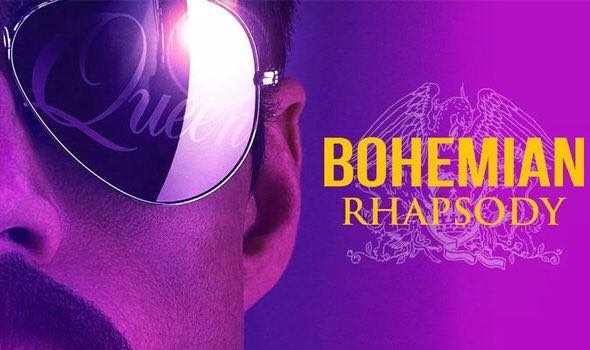 Come and join us at our screening of Bohemian Rhapsody certificate 12 at Milton Country Park at our outdoor event on the 22nd June. £12 per adult and £9 per child (under 12)/*concession. Gates open at 6.30pm, then the film starts at 7.30pm and will finish approx 10pm. We have reasonable start times as we have LED screens! Four young lovers, a band of hapless actors, and a magical realm populated by enchanting spirits set on causing mischief and mayhem at every turn culminate in an unparalleled open-air experience of beauty and hilarity. Milton Country Park's biggest fundraiser returns for its sixth year with more fantastic seasonal food, craft, activities, music and entertainment! 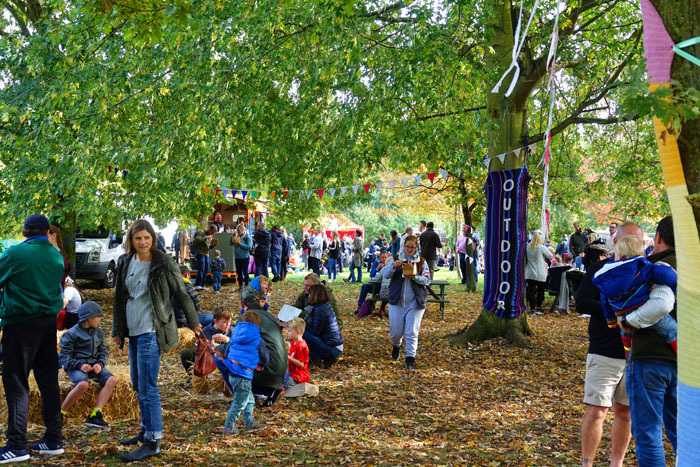 Celebrating our finest local, independent creatives, groups and community projects and with an emphasis on traditional family fun, the Autumn Festival has plenty for everyone. This year enjoy some of our best upcoming bands on the music stage plus our popular headline act Big Ten will be returning! 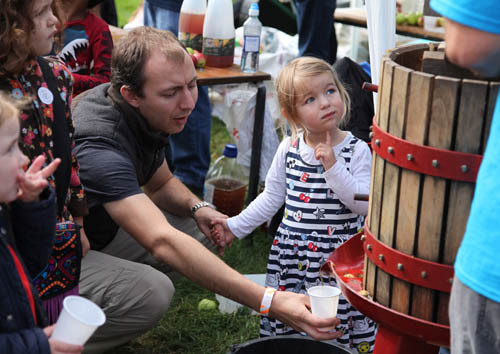 We'll have delicious street food, fine local produce, real ales and cider, a miniature steam train, woodland craft workshops, circus skills, hay play, canoe & paddle board safari, vintage tea tent, an apple pressing in the orchard and more!! All proceeds go directly toward the park's operating costs and helps keep our lovely park open and accessible for everyone throughout the year - thank you for supporting this special event! Early Bird Tickets available in May. For more the latest information please visit the Autumn Festival page. Interested in paying more attention to life? Curious about your relationship with nature? Being mindful of life within us and around us is the secret to greater well-being, peace and bringing forth a sustainable world. Join Claire Thompson - author of Mindfulness and the Natural World and The Art of Mindful Birdwatching - for an afternoon of shared mindfulness exercises, games & thought-provoking reflections inviting us to explore our relationship with 'aliveness'. All welcome (no need for previous experience of mindfulness/meditation). Bio: Claire Thompson is an internationally-published author and nature conservationist. Following reading Natural Sciences at the University of Cambridge, Claire pursued a career in international nature conservation working for the World Land Trust and BirdLife International. Alongside this work, Claire has explored mindfulness, meditation and wilderness experiences for over 10 years. She set up "Mindfulness of nature" in 2016 whereby she writes and leads workshops and retreats inviting people to explore their relationship with themselves and the natural world. She pursues this to fulfil her passion for creating a more mindful, peaceful, happier and sustainable world. For the second year CJCC will be hosting the final round of the eastern cyclocross series at Milton Country Park! This will be an excellent opportunity to get involved in a full cycle race which is very friendly and has a really family vibe about it, with spectators encouraging all the children to do their best. In addition there are adult races which are great fun to watch as the speed and technique used is inspiring for the children, it's not uncommon to find a team GB rider at an event. Cyclocross started as a way for road riders to keep up their fitness in the winter months. Unlike a road race the riders expect to be faced with hills or hurdles which they need to overcome, however not for the younger children’s races. The bikes used look like adapted road bikes as they have curved bars and thinner tyres than a mountain bike, however for the children’s races any bike with knobbly tyres will be fine. The course will be round an area of Milton Country Park, with a shortened course for the U8, U10 and U12 categories. We intend to get the children used to riding the course we will use over the next few weeks such that they feel confident about what to expect. The race is based on a number of laps determined once the race has started. This works well as once the winner has crossed the finish line all riders finish, so there isn't a chance of someone staying out on the course too long. It will be possible to sign-up in advance through British Cycling or on the day. There are also adult races in 40-49, 50+, Women's & Senior categories. Usually it's necessary to sign-up in advance for these races as they almost always sell out. For adult races you need a BC race licence, but it is possible to buy a licence on the day. Muddy Monsters events are cycle races designed for novices aged Under 16. Entrants should not be competing regularly in regional Cyclo-Cross or Mountain Bike series events. The course is off-road and includes the park’s popular bike track. Suitable for mountain bikes or cyclo-cross bikes. Riders will need a helmet and a bike with two working brakes. Each round can be entered on the day for only £4. Open to all, CJCC members can ride for the club. Sign in opens at 10.45am. It’s that time of year again when we pick apples from the community orchard ready for juicing at this year’s Autumn Festival! This is a lovely session, open to all, families welcome and refreshments provided. Please bring an apple picker if you have one! Helpers are welcome to take enough home for a pie or crumble. Meet at the Community Orchard in the park at 3pm. To see the apple juiced and taste our home grown produce come along to the Autumn Festival on September 23rd - volunteers on the stall are also most welcome and needed so please let us know if you would like to help out. Milton Produce Show is a fun and friendly competition for gardeners, cooks and creative people of all types! Entries forms and more info can be found on the Produce Show page. Complete the entry form on the Produce Show page and bring to the park office before the end of the day on Sunday Sept 2nd. Bring your entries along on Sunday Sept 9th 9am-10am. Register for Open Water Swimathon 2018 and join Cancer Research UK and Marie Curie to raise as much money as possible for two causes close to the nation’s hearts. Open Water Swimathon will be returning for 2018 and will take place at Milton Country Park on Saturday 8th September, 7-10am. Individual swims can be 400m, 1.5k, 2.5k or 5k or swim as a team (2 people or more) 1.5K or 5K. Entry from £12 per person. Briefing 7am. All swimmers will be given a swim hat. Complete your distance, counting your own laps, and receive a medal. You have until 10am to finish. This event will run alongside our usual Saturday morning OWS session. Bank side changing, open from 7.30pm. A chance to get on the water and learn some basic paddle skills with a qualified BCU coach! Milton Country Park's Family Angling Open Day will be held on the 5th August, 10am until 4pm on Todds Pit. Swims 1-10. The event will held by CFPAS LTD and run by their coaches licensed by The Angling Trust. The day will compromise of 30 minute sessions which will allow beginners to try angling for the first time and to find out more information on how to continue in the sport and join the club. The Environment Agency will also be there with their fish tank so you can see what's been caught in the lake! The event is open to anybody and is completely free of charge. Come and join us whilst we Sing A Long with Grease at Milton Country Park. You are the one that we want...oooohhh ooooohh ooooh Honey! Spectrum's outdoor cinema uses LED screens which means earlier start times and a brighter image! Ticket price includes pre-film entertainment, sweet treats, light up bar and screening of the film. Join us for this fantastic 5k/10k at Milton Country Park on Sunday 18 March 2018. The run will begin at 11.30am. Read our event guide for more information. You can book a place by visiting our website. Places cost £16 per person. Your entry fee only covers the cost of running the event, it’s your sponsorship which will mean we can be there to support more people living with stroke. Your fundraising pack will include a sponsor form, but you can also download your fundraising materials or set up a JustGiving page to share with your friends, family and work colleagues. If you have any questions about this event, please email resolution@stroke.org.uk or call 0300 330 0740. Cyclocross at Milton Country Park! CJCC in conjunction with C6 bikes will be hosting the final round of the eastern cyclocross series at Milton Country Park on the 28th January 2018. This will be an excellent opportunity for the children to get involved in a full cycle race which is very friendly and has a really family vibe about it, with spectators encouraging all the children to do their best. In addition there are adult races which are great fun to watch as the speed and technique used is inspiring for the children, it's not uncommon to find a team GB rider at an event and this was true for the race at Grafham. Cyclocross started as a way for road riders to keep up their fitness in the winter months. Unlike a road race the riders expect to be faced with hills or hurdles which they need to overcome, however not for the younger childrens races. The bikes used look like adapted road bikes as they have curved bars and thinner tyres than a mountain bike, however for the childrens races any bike with knobbly tyres will be fine. 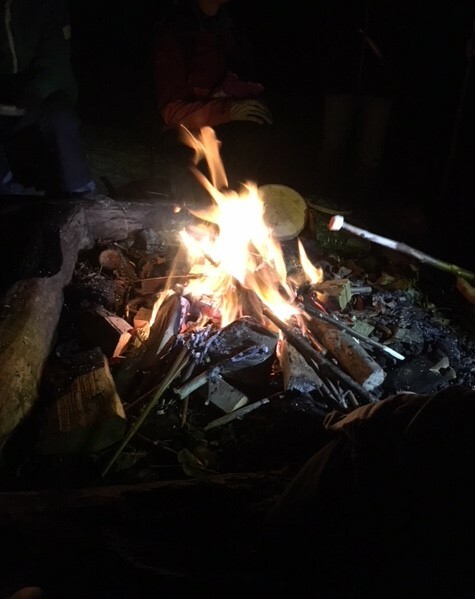 Wild Thyme & Embers are running a Winter Bushcraft Club in The Wild Place this December. Drop children off and get those last minute preparations for Christmas done! They have some lovely festive woodcrafts to keep your adventurers busy outdoors and hot chocolate and delicious snacks cooked on the fire to ensure we all stay warm. Visit their website to book a place and look forward to some wintry adventures. This club is suitable for children age approximately 5-12. The cost for each day is £30 per child. Children need to bring a packed lunch and large water bottle (which can be refilled throughout the day) and dress for the weather. Join us for a fun filled dog walk to raise vital funds for Wood Green animal Shelter! Time: 12pm-4pm with everyone setting off for their walk at 1pm. Take as long as you need, the event is open until 4pm. Cost: £5 per adult (kids go free). First 100 to enter receive a free doggy bandana for their dog to sport on the day! Whether you come in fancy dress or as you are, get involved in what is promised to be a fun packed day, with stalls, a café and different length walks depending on your preference. If you would like your support to go further please consider fundraising int he run up to your dog walk. Your contribution will make a huge difference to the lives of the thousands of pets cared for by Wood Green. Come and have help us celebrate E.T. being 35 years old with this outdoor screening of the iconic film. Gates open at 7pm and Spectrum Events will be providing an illuminated bar and snacks. The film starts at 8.45pm. Doors open 2.30pm, production starts at 3pm. Please see the Immersion Theatre website for details. Vital Spark is a Cambridge based Theatre company which runs interactive, creative classes for young people. Combining drama, music, movement, craft and most importantly play the workshops will explore all of the fun of the outdoor space with a touch of Vital Spark magic! Preschool Adventures are £5 per child and children must be accompanied. 12-3pm Primary age Workshop 'The Magic Faraway Tree' with crafts made from natural materials, drama and story-telling. £20 per child, this workshop includes a snack so please advise of any dietary requirements on booking. All of these workshops are outside regardless for the weather conditions so please do dress appropriately. Please email to book your space. You will be sent a booking form and payment details. Once again, Cambridgeshire Search and Rescue are inviting everyone to help us break the Guinness World Record for the Largest Game of Hide and Seek, to have a fun day out and help raise money for your local search team. Registration gates will be open between 10:00 and 12:30 letting people into the play area with entertainment and stalls. The record attempt will run between 13:00 and 14:00. The official rules require the game is played for the minimum of one hour. Anyone leaving early is discounted from the total. Located just north of Cambridge, Milton Country Park is 95 acres of beautiful parkland who are again hosting us for the record attempt. Registration to the event is by donation. We recommend a £2 donation per person. When you register at the park you will be given a barcoded wristband that can be used to scan in and out of the play area. The barcode must be scanned in and out by officials. People coming in will have priority and you must be scanned in by 12:30 when gates close for the safety briefing and official count. The current world record for the Largest Game of Hide and Seek is 1437 people playing. We need your help to break the record this year. Join in, bring your family and friends and help promote the event on social media and around your local area. As this is an official Guinness World Record attempt all players should read the rules available on our website https://largesthideandseek.org/rules/ although they will be explained before the game. There will be stalls from our emergency services friends as well as other activities such as face painting, beat the goalie and other diversions. Our search dog Shadow will be back again and will be looking forward to meeting you. Food will be available to buy on-site including in the play area but you may want to bring a picnic. There will be a treasure hunt available throughout the day and prizes for the best fancy dress costumes! Keep an eye on largesthideandseek.org and the Facebook Event for updates and direct any questions to the event's wall or email hide@camsar.org! Creative workshops for pre-school and primary age children, coming to the Wild Place this Easter! For more info and to book a place please visit the Vital Spark website. Come and celebrate National Tree Week with a traditional tree dressing in the orchard! We will be making rag bunting, bird feeders and writing ribbon wishes to decorate the trees and wish them another healthy, fruitful year! There will also be a barbecue and refreshments. Open to all ages. Refreshments provided for donations to the orchard or bring and share. This is a fun and informal event, we'd love to see you there! If you love the outdoors, Adventure Xperience is for you! You'll be taught basic bush-craft skills such as shelter building, tracking and making simple tools. Learn some of the survival secrets that adventurers and explorers have used for centuries! With different activities delivered each day, you'll have to join us for a full week for the full experience! Running on Monday 24th, Tues 25th, Weds 26th October. £18 per day - days last from 9.30am-3pm with an option to stay until 5pm. Milton Country Park's biggest fundraiser returns for its third year with more fantastic seasonal food, craft, activities and entertainment! This year enjoy live music on our green stage, delicious street food inc. FoodPark, fine local produce, real ales and cider, a miniature steam train, hovercraft rides on the lake, animals and tractors, hay play, wild woodland craft, produce show, canoe safari, vintage tea tent, an apple pressing in the orchard and more!! Don't miss out on the official Guinness Book of Records attempt for World's Largest Game of Hide and Seek! Once again, Cambridgeshire Search and Rescue (CamSAR) is organising the event. Four hundred played in 2014, well over 1000 last year - we're going to smash the record on 4th September! Avoid the registration queue by getting your FREE tickets online in advance. With these you can be scanned straight into the game area - this scanning in/out is needed to keep evidence for the Guinness Book of Records! Registration will open at 10:30 on the day, the official attempt will begin at 12:30 (everyone needs to be scanned into the game area before this), and will end around 14:00. As in previous years, we'll keep playing extra rounds after this as long as everyone's got energy left over! More information at largesthideandseek.org and on Facebook. Workshop for 5 - 11 year olds at 1.30pm. Performance starts at 3pm. Performances last approximately 100 minutes with a 20 minutes break. For more information please see the Immersion Theatre website. £18 per day - days last from 9.30am-3pm with an option to stay until 5pm.